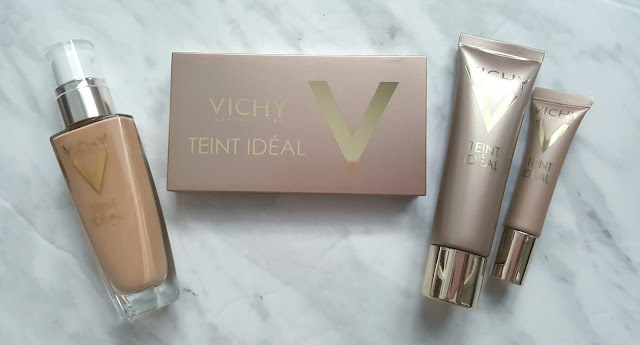 A few weeks ago, I was invited to preview the all new make-up collection from Vichy, called the Teint Idéal. 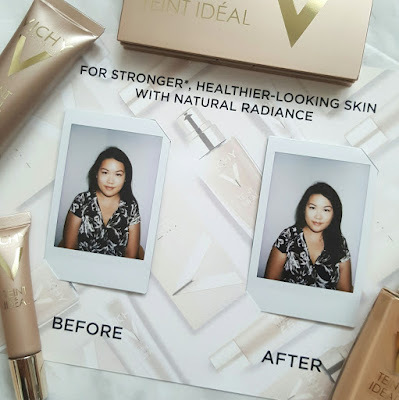 This is the first foundation that is aimed to improve skin health to reveal its natural radiance. 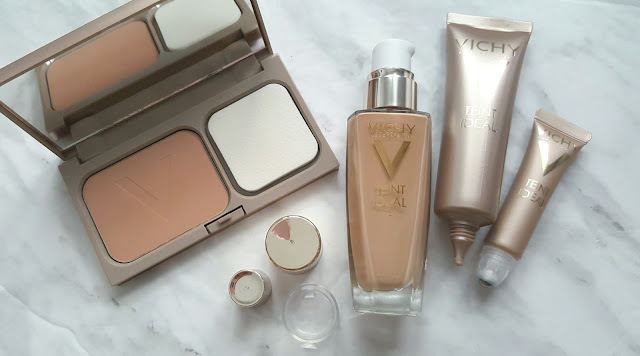 We all know Vichy as being a skincare brand, however for some of us, the last step of a skin care routine is the first step of a make-up routine: a fluid, cream, powder, bronzer, concealer and highlighter from this collection form a complete range to reveal your skin's natural splendor. 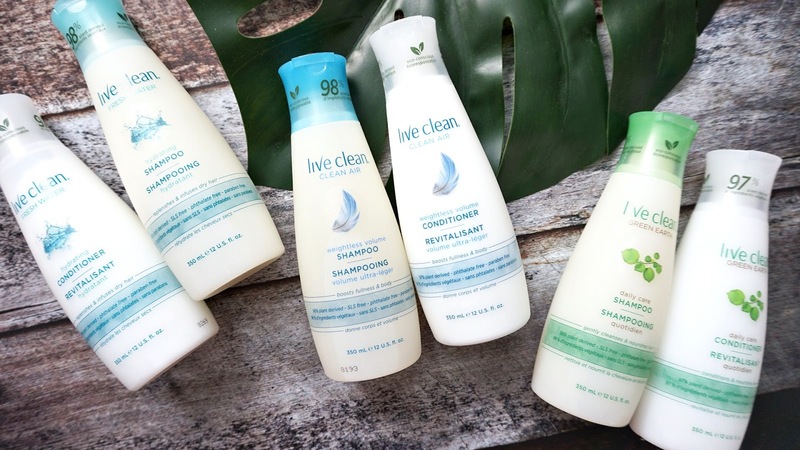 This entire line has already hit drugstores on September 12th and you will find below the before + after from the event. As you can see, in the after, the center of my face is positively glowing and like I threw on alot of highlighter,except I didn't. The concealer is pretty amazing it offers a pretty good coverage without looking cakey. 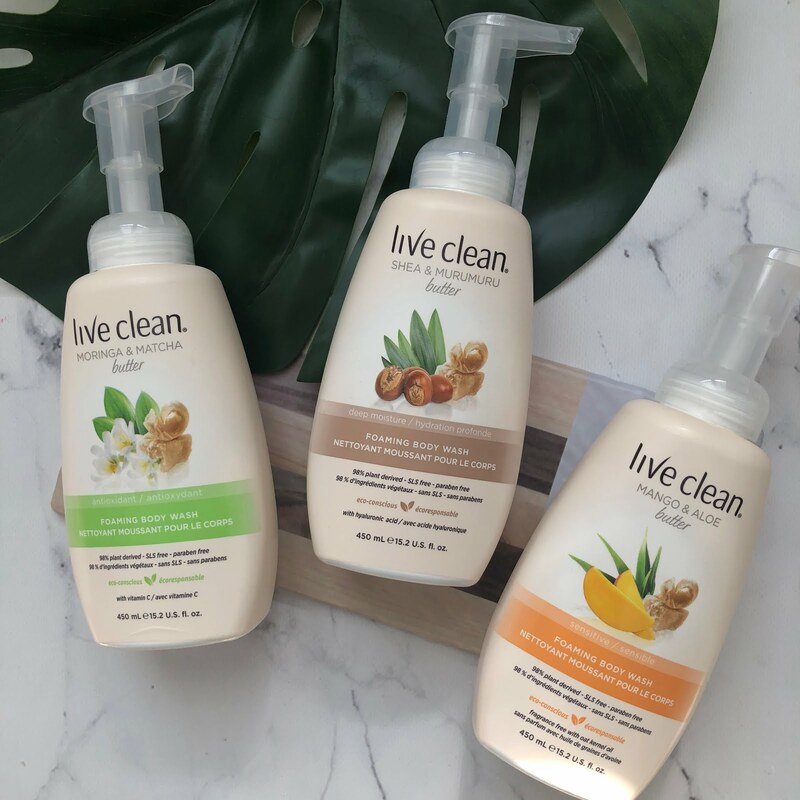 This is quite a short post, but I will be including a more detailed post later once the rest of the products are sent - i.e. the bronzer, concealer etc and I will then create a look with it for my Make-up Monday series.